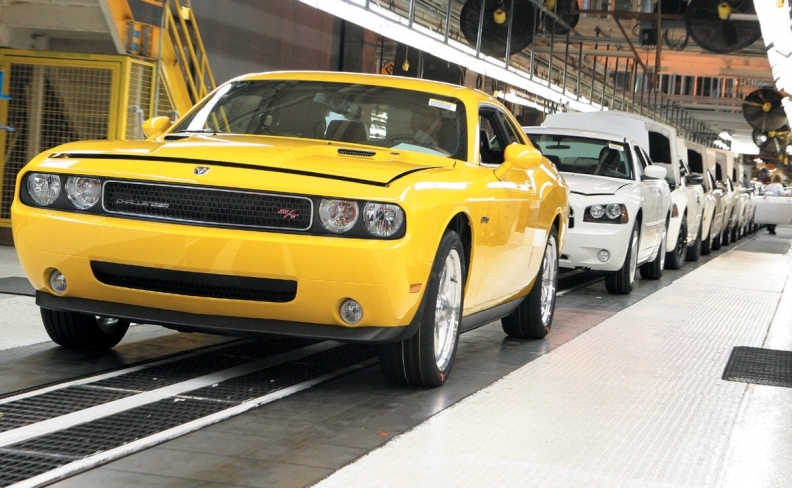 The Brampton plant has built everything from Dodge Intprepids to the modern Challenger. AUBURN HILLS, Mich. — The Fiat Chrysler Automobiles Brampton Assembly Plant has been awarded bronze status for its efforts in implementing World Class Manufacturing (WCM). It's the 13th FCA North America facility to receive this designation. It might be in need of new physical plant investment but the workforce at the suburban Bramalea facility hasn't let that slow down their efforts to deliver a quality product. The plant, located northwest of Toronto, scored bronze after a recent two-day audit during which it earned a minimum of 50 points in 10 technical and 10 managerial pillars, demonstrating clear WCM know-how and competence through employee-conducted presentations and a review of projects implemented across the shop floor. Key to successfully implementing WCM is "the engagement of the workforce," said Brian Harlow, vice-president of manufacturing, FCA North America. By achieving bronze, the Brampton employees demonstrated commitment to making improvements in their operations, "which translate into providing quality vehicles for our customers. "With the support of our Unifor (union) partners, FCA is continuing its progress toward making our manufacturing facilities among the best in the world," Harlow said. WCM methodology focuses on eliminating waste, increasing productivity, and improving quality and safety in a systematic and organized way. It engages the workforce to provide and implement suggestions on how to improve their jobs and their plants, promoting a sense of ownership. First implemented by Fiat in 2006, WCM was introduced to Chrysler Group as part of the alliance between the two companies in June 2009. During an audit, zero to five points are awarded for each of the 10 technical pillars, which include safety, workplace organization, logistics and the environment, and for each of the 10 managerial pillars, such as management commitment, clarity of objectives, allocation of people, motivation of operators and commitment of the organization. A score of 85 would indicate "world class." WCM-certified auditors from FCA performed the audit. In addition to Brampton, 10 other plants currently hold WCM bronze designations. Ontario's Windsor Assembly Plant and Dundee Engine Plant (Mich.) received the WCM silver designation in March 2014 and May 2015, respectively. Built in 1986, the Brampton plant was acquired by Chrysler Corp. with the purchase of American Motors Corp. (AMC) in 1987. More than 3,600 employees work two shifts, producing an annual output of nearly 225,000 vehicles.